My name is Austin and I serve as a Programme Coordinator with the Kutumb Foundation. We are dedicated to promoting the total development of the individual by way of building language skills, bridging developmental gaps, and addressing issues of identity; this process of exposure is accomplished through theatre and football, among other creative methods. Peer leadership and democratic decision making empowers the young people of Kutumb to take charge of their own communities. On 31st August, I attended a GYAN session held at Child Survival India’s office in Kalkaji. Other NGOs represented were Special Olympics Bharat, Mobile Creches, Udayan Care, Development Alternatives and Evangelical Fellowship of India Commission on Relief. Priyanka Singh arranged the session, which was facilitated by Himani Jain of Shakti Foundation. Himani showed us sample reports so that we could see what works and what doesn’t. Moreover, as participants we were able to discuss our own report/donor issues. I personally found this experience to be extremely pertinent and opportune as Kutumb had a report due within the next fortnight. 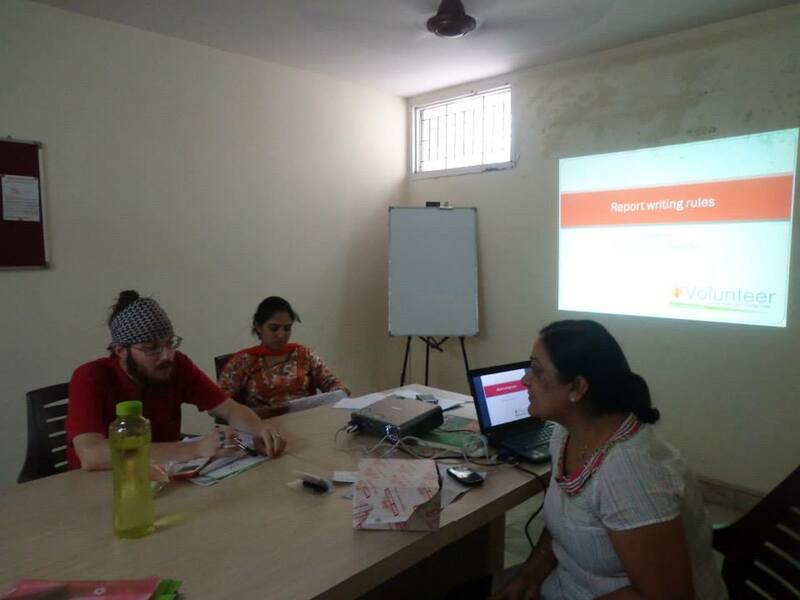 We were also able to send our reports to Aditi (co-trainer), from Shakti Foundation, for feedback. Based on Aditi’s feedback, I retooled several components of our aforementioned report. I am certain that our report improved significantly based on Himani’s insights and Aditi’s feedback. This session helped build my capacity. I also took the time to share what I learned with my colleagues at the Kutumb Foundation. I can’t speak for the other participants, but I would wager that everyone feels the same way! This GYAN session was particularly effective due to the prevailing informal atmosphere. Himani was the perfect facilitator and we all seized the opportunity to ask lots of questions! There was also a sense of solidarity in seeing that other NGOs are facing the same issues Kutumb faces! Funding and connecting with donors is, after all, a fundamental issue for any non-profit organisation. The power of networking and sharing cannot be overstated. For example, Kutumb was able to link up with Special Olympics Bharat on one of their upcoming initiatives; this connection happened through the GYAN session. Kutumb has attended several GYAN sessions in the past and will certainly attend more in the future. iVolunteer’s GYAN initiative has been a wonderful opportunity for our organisation, as it most certainly is for other organisations as well. Capacity building of this type, with volunteer facilitators, is a wonderful way to increase the impact of NGOs. Previous Post Volunteering- a way to give back to society!